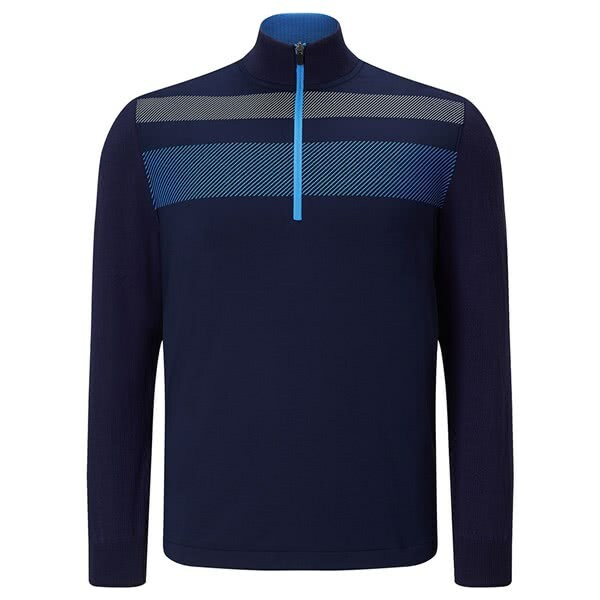 The Callaway Quarter Zip Blocked Pullover Top has been engineered and constructed to be the ultimate midlayer top. Callaway have used a lightweight, thin fabric that will provide essential warmth to take the chill out of the air. The versatility of the top will allow you to wear it as an overtop or under a jacket to cope with all types of weather. The fabric also features their Opti Dri technology to ensure you stay cool, fresh and sweat-free throughout your round. The high neck design provides the perfect amount of coverage when you need that extra bit of warmth whilst the quarter zip is ideal should you need some ventilation to keep cool. and the Callaway Tour logo in white on the back of the neck. 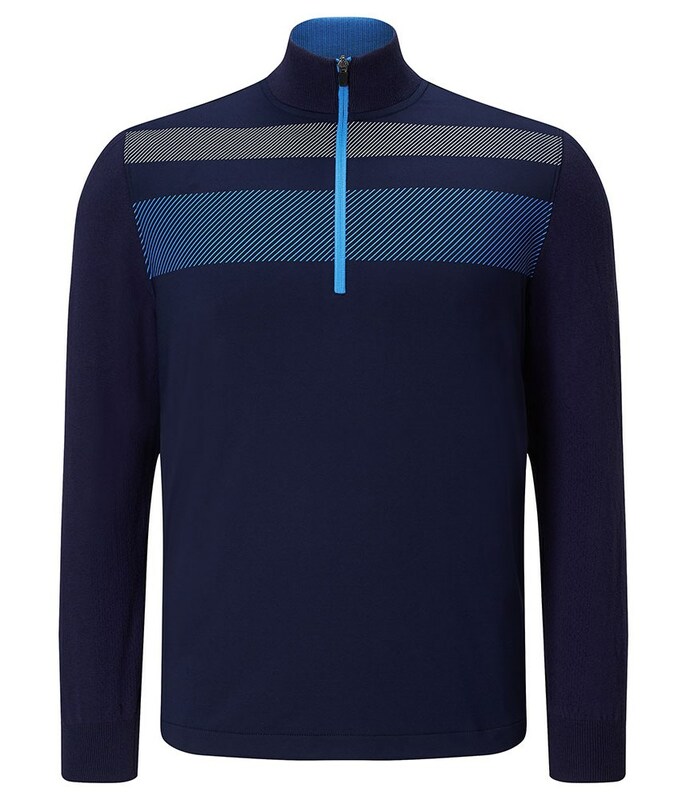 Soft touch inner fabric with added stretch - an essential summer layering piece.